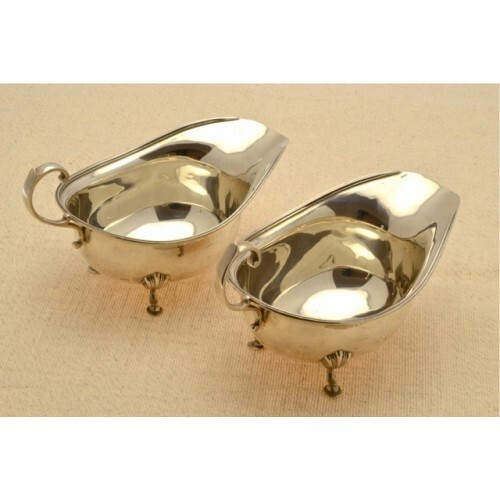 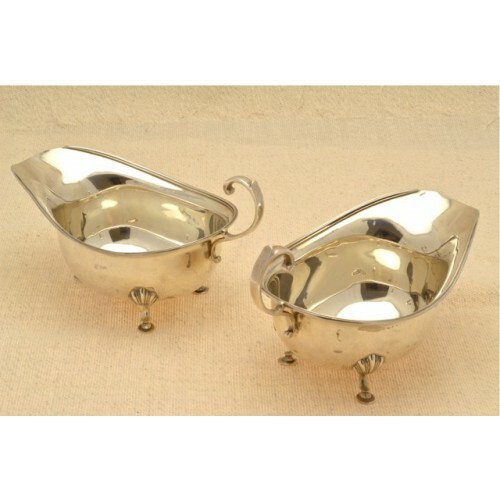 Pair of antique silver sauce boats. 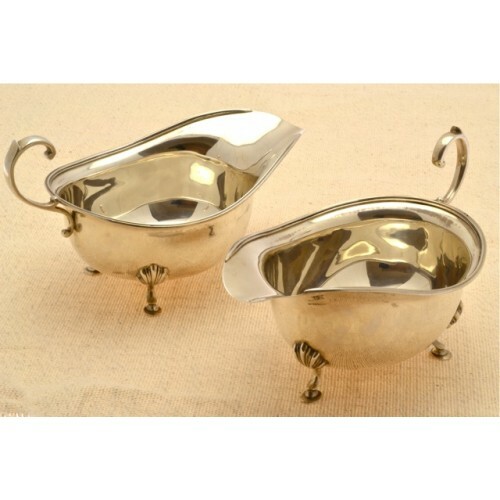 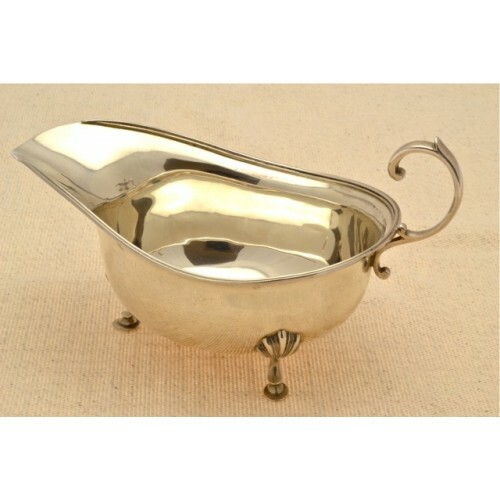 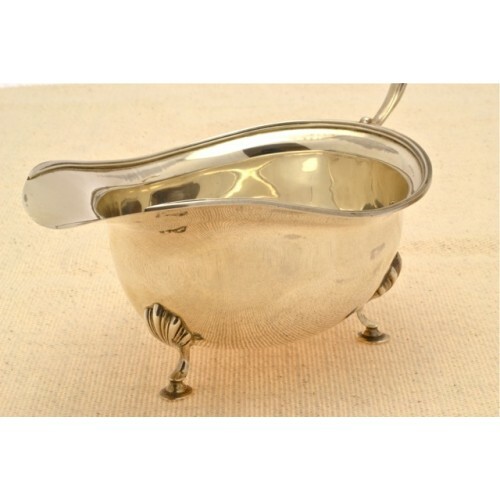 Pair of antique silver sauce boats, plain body with a fine ribbed edge, scroll handle, three legged with shell knuckles and hoof feet. 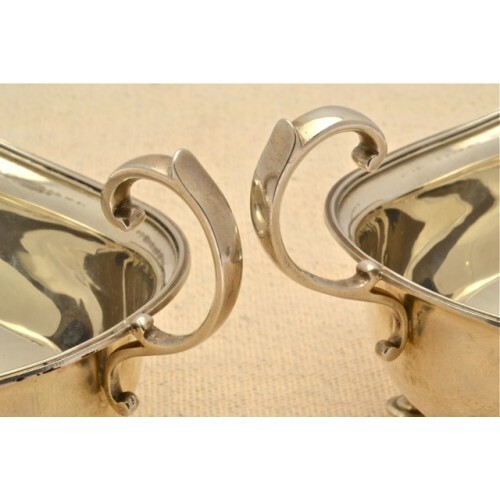 London hallmarked, dated 1912. 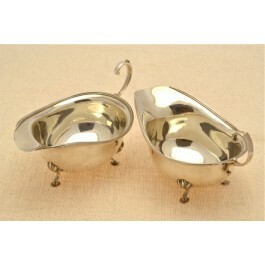 Measuring 16cm x9.5cm x 6.5cm.